Welcome to the 3rd volume of Countries of the World – Activities and Copywork. 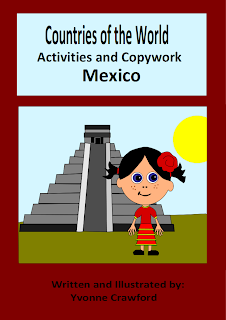 This booklet focuses on the country of Mexico. Your child will learn facts about Mexico while practicing their manuscript and cursive handwriting and engaging in fun activities. Your child will begin this booklet by cutting out a passport stamp and pasting it on a passport that will also be emailed to you. If you would like to purchase this booklet for only 1 dollar, please click the button below and it will be emailed to you shortly. As with all products that are sold by Language for Little Learners, you can contact us for any help you need to make these products as successful as possible for you and your children.